What defines the beauty of a city? It depends on various factors like landscape, architectural style, cleanliness, peacefulness, people…etc. The colors also play an important role in bringing an exceptional beauty to a city. The followings are 10 most colorful cities in the world. The Saint John city in New Brunswick province is the oldest incorporated city (in 1785) in Canada. The city is located in the beautiful bay of Fund. 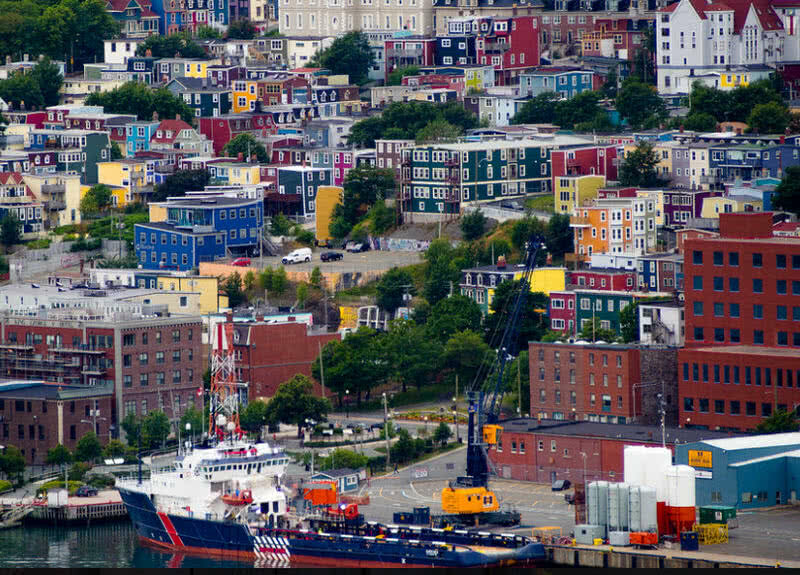 Saint John City is widely popular for its brightly colored downtown row houses. It is one of popular tourist attractions in the city. The multicolored houses in the downtown area of Saint John are known as ‘Jellybean Row’. In fact there is no street in Saint John City that named as ‘Jellybean Row’. It is the common nickname used by the native to refer the colorful houses in the down town area. It is said to be people of Saint Johns used to paint their houses in bright colors to keep the beauty even in foggy weather. You can see each house in the street painted with a unique color. The walking tour in the city surely become an unforgettable experience for you. La Baca is one of neighborhood of Buenos Aires, the capital city of Argentina. 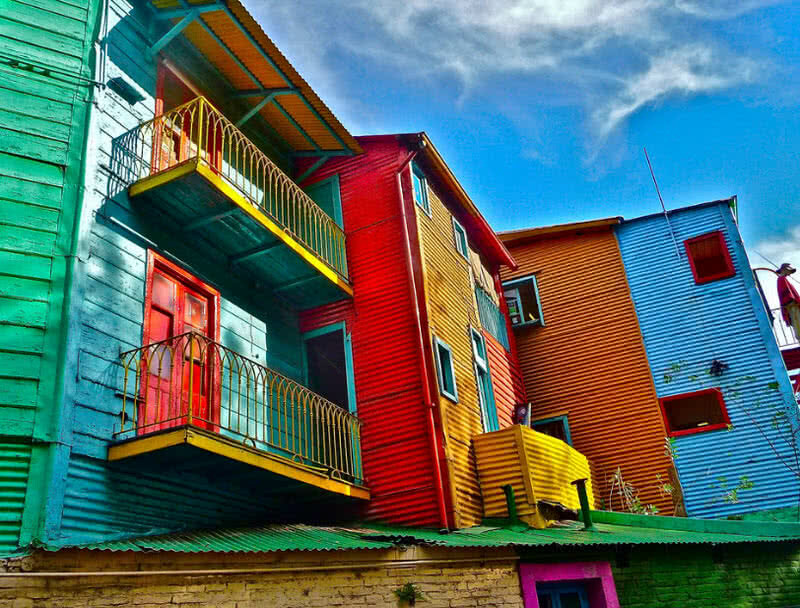 La Boca is famed for its traditional colorful wooden houses and pedestrian friendly paths. There are many artist colonies in La Boca. They also utilize the colorful wooden houses in La Boca as part of background while they perform different art forms. Another main attraction at La Baca is ‘Tango’ dance. You can see tango dancers at every corner of La Baca. This neighborhood of Buenos Aires is also popular for massive exhibitions of photographs and paintings. The Longyearbyen located in the Norwegian archipelago of Svalbard is the northernmost town in the world. This town is named after John Longyear, An American who started the Arctic Coal Company in 1906. Longyearbyen renowned for its colorful wooden houses. These colorful houses are built on piles. It is to keep away the houses from the permanently frozen ground in the town. 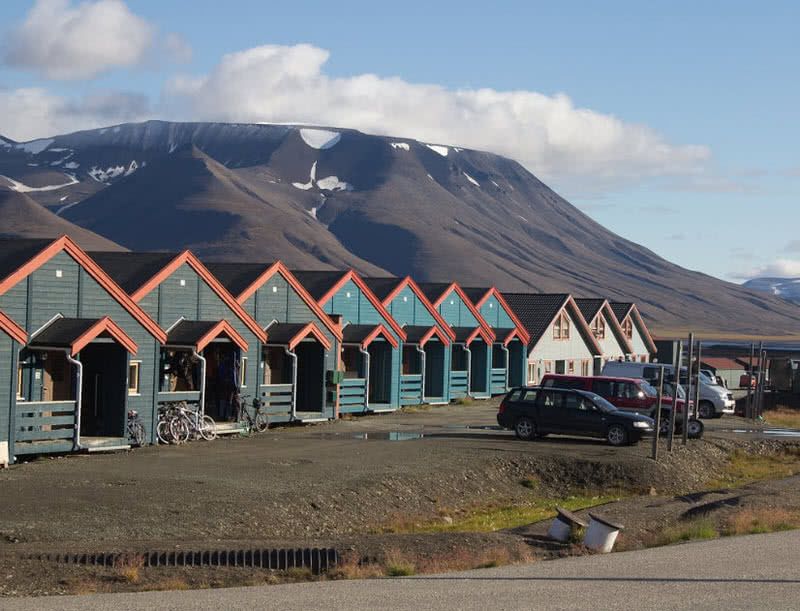 Longyearbyen has a population of 2040. There are no clear road connection in this town. The local people prefer snow scooters for transportation. The small and beautiful Chefchaouen city is nestled in the Rif Mountains of Northwest Morocco. This popular tourist town is known for its striking vivid blue-washed buildings. The bluish design of this city was introduced by Jewish refugees in 1930. The blue color considers as symbol of sky and heaven in Judaism. It also represents people must live their lives with spiritual awareness. 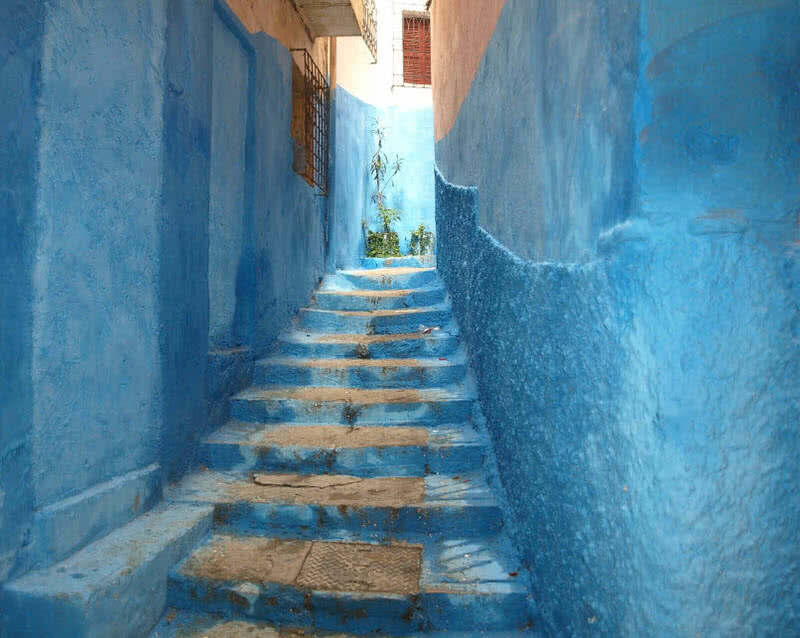 The natives of Chefchaouen regularly repaint the buildings in blue shade in the memory of that old Jewish tradition and to keep the history alive. This bluish village glows differently in different time of a day. In Wet condition Chefchaouen also look like a clear blue water world. It is also said to be the bluish shade of Chefchaouen can keep away the mosquitoes as they don’t like clear water. There are 40000 people inhabit in this picturesque town. The town also has a very calm atmosphere. This beautiful and historic town also offers affordable accommodations, restaurants, cafes and shops. The historic and colorful Bo-Kaap suburb is located in the foot of signal hill in Cape Town. This residential area is renowned for its brightly colored houses and narrow cobble stoned streets. These houses display a mixture of Georgian and Dutch architectural styles. 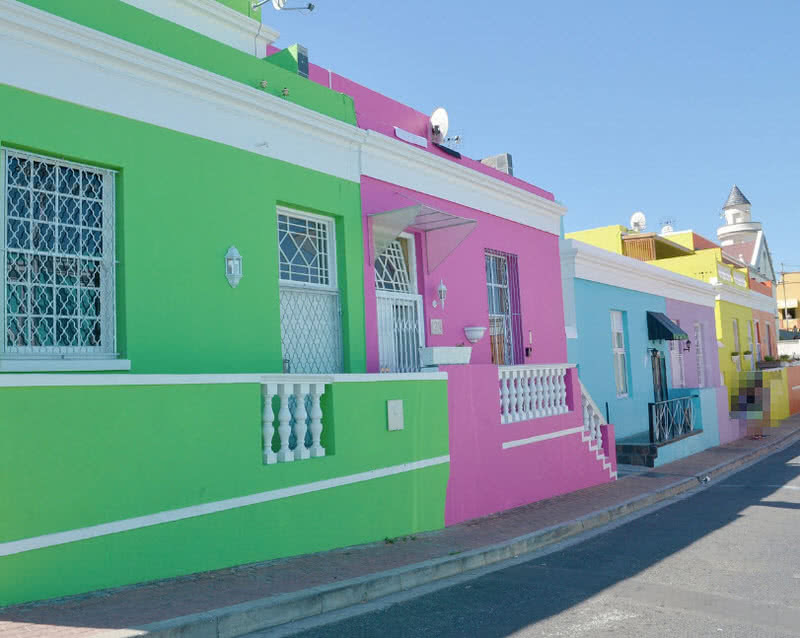 Bo-Kaap also has a colorful history. During 16th and 17th centuries a number of slaves were imported from Malaysia, Indonesia and other African countries to Cape Town by the Dutch. The slaves were known as ‘Cape Malays’. In 1760 a number of houses were built in this area and leased to the slaves. Later the slaves bought the houses and painted in bright colors to express their freedom and happiness. The Bo-Kaap museum in the area is the oldest building in the area that is built back in 1760. The museum still remains in its original form and it displays the history of Bo-Kaap and life of the Cape Malays. Jodhpur, The second largest city in Rajasthan is also known as ‘The Blue City’. The city named after the bright blue-washed houses in the old town. This colorful old city encircles the popular Mehrangarh fort in Jodhpur. There are more than 100 colorful such houses enclosed by a wall in the city. It is said to be the Brahmins, the priestly caste of India who started this tradition. 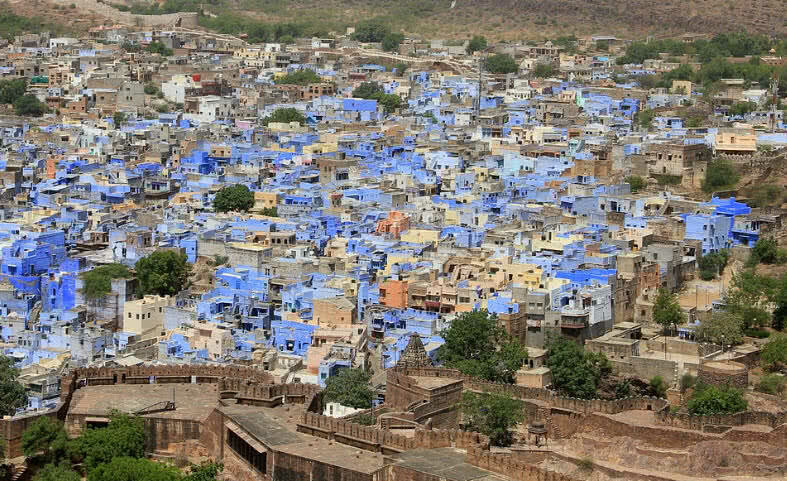 They painted their houses with bright blue color to differentiate their houses from people of other castes. But later the rest of the members of other castes in the city also follow this tradition. The blueness of Jodhpur also found as a symbol of the native’s resilience against the scorching heat of Thar Desert that surround the town. According to local people of the town the blue painting also helps to keep their houses cool and to prevent mosquitoes. The colorful houses in Jodhpur are also decorated with lavish furnishings and artifacts. Willemstad is the capital city of Curacao and a world heritage city. The downtown of Willemstad city is rich in history and display colorful government buildings, shopping centers, private homes, restaurants and business buildings. There are 750 colorful structures in total in this city. 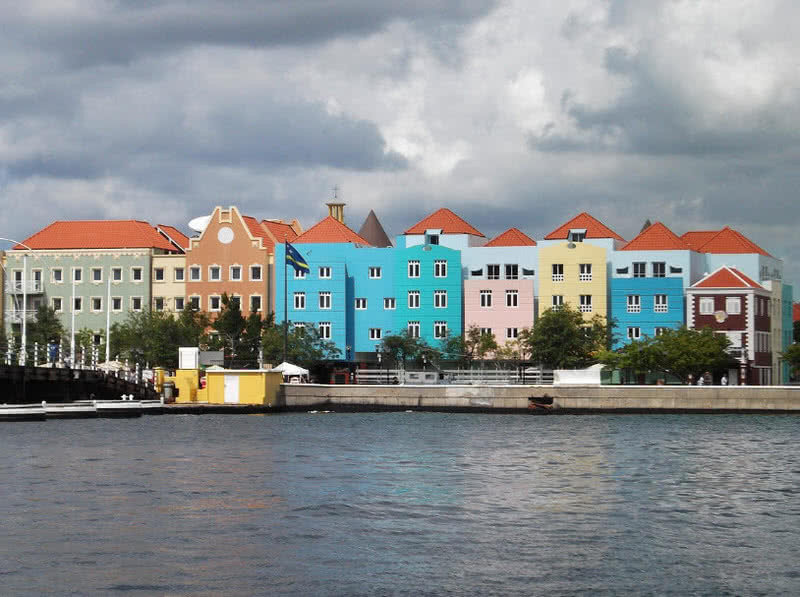 With these colorful buildings the waterfront of Willemstad city looks definitely unreal. This coloring tradition in the city was started by General Governor Albert Kikkert. There is also an interesting story behind it. Albert Kikkert suffered from migraine headaches during his charge in the 19th century. He understood that the reflection of sunlight from Willemstad’s white building causes such health problems. Then Albert Kikkert gave direct order to paint all buildings in the downtown area of the city with bright colors other than white. There are hundreds of protected historical buildings in Willemstad city. Many of these buildings stand as an outstanding example of the Dutch architectural style. Many of the ports in the harbor of the city are dates back to 17th century, built by the Dutch West India Company. This great historical importance and beauty attract thousands of visitors every year to Willemstad city. 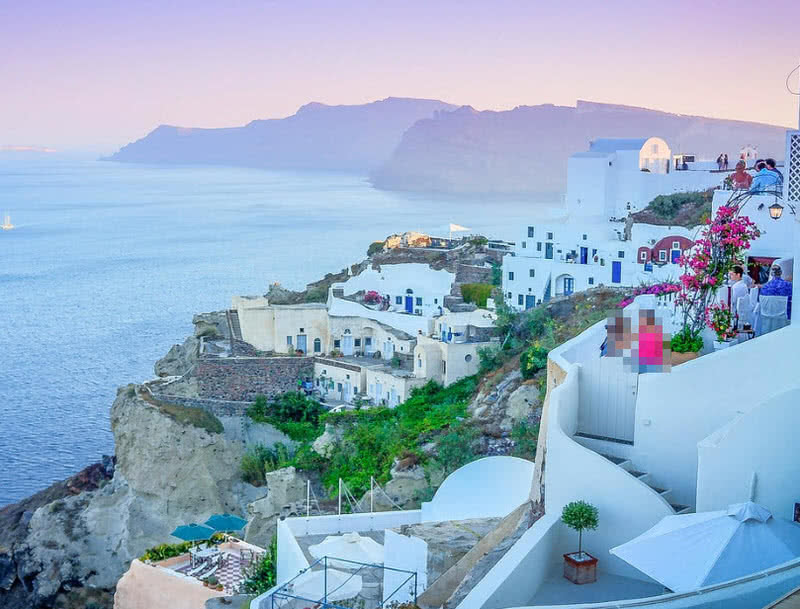 Santorini is a beautiful island located in Southeast of Greece. There are 15 traditional and picturesque villages in Santorini. The brilliant whitewashed houses and cobblestone narrow streets are the main attraction of these villages. The balconies of these unique houses also open views to stunning Sunset and volcano in the island. It is believed to be the local people of Santorini started to use whitewash for decorating their houses in the 19th century. It is because the whitewash is cheap, durable and has oxidizing properties. Eventually this white coloration became a trend in Santorini. It gives a unique style and homogeneity for Santorini Island. 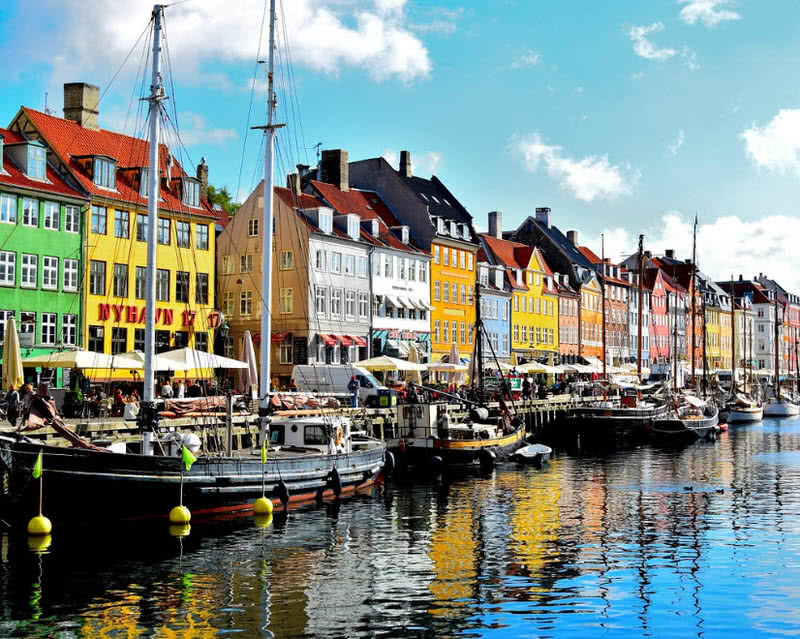 Nyhavn is a beautiful harbor district in the Danish capital of Copenhagen. The colorful houses on either side of the canal and wooden ships are the main attraction in Nyhavn. The picturesque old houses in Nyhavn were built back in the 17th century. Today many of old houses have been turned into restaurants and cafes. The house no: 9 is the oldest house in Nyhavn, built back in 1661. Still this old house remain in its original form. Many of these old houses in Nyhavn have been the home of popular Danish artists. The house no: 20 once used by famous Danish author Hans Christian Anderson. Burano is a pretty small island in the Northern Venetian lagoon. In fact it is an archipelago that has four islands connected by bridges. 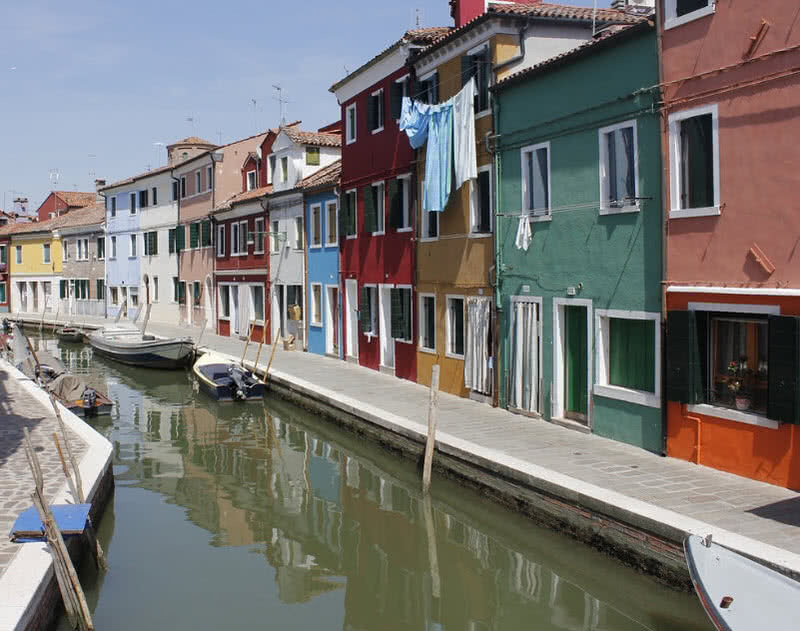 The big highlight Burano is nothing but the multicolored houses on either side of the canals. The green waters of canals that separate the islands reflect these picturesque houses and it is truly looks like a paradise. In the old days fishing is the main source of income in Burano. During winter season the fishermen found it hard to recognize their homes because of heavy fog. So they decided to paint their houses with different colors. This incident is believed to be the starting of the coloring tradition in Burano. Today you can see that the houses in Burano follow a particular color scheme. There is a well-defined system for painting the houses in Burano. Suppose you are a resident in the village and you like to paint your home. The first thing you have to do is send an official request to the government. They will notify you which color you are permitted to paint your home.